Planning on switching to Magento? In this guide, you’ll learn all about the why what and how’s on Magento migration. This post covers the complete story of moving your site from other eCommerce platforms to Magento, to minimize your efforts and help you make the right choices in re-platforming your web store, increase your customer’s satisfaction and boost your business profit. Learn the best practices on the topic: the tools and extensions you can install and the settings you need to make to copy everything fast, avoid data loss and migration errors. Additionally, you will read about the available services that can help you migrate. In the end, you will have a better understanding of all the mechanisms that take place behind the scenes, so that your users can benefit from an improved experience, and you can be satisfied with the results. What Are the Benefits of Migrating You Shop From WooCommerce to Magento? What Are the Benefits of Migrating Your Store from BigCommerce to Magento? What Are the Benefits of Volusion to Magento Migration? What Are the Benefits of Migrating Your Shop From Squarespace to Magento? What Are the Benefits of Migrating Your Store from Shopify to Magento? Regardless of the platform you are currently using, the first step you need to do in setting you your cart migration strategy is to evaluate your store and list all the feature it has. Take into consideration that some of the features you currently have may not be compatible with the new platform or they may need to be developed during the migration process, and in this case hiring a Magento developer is inevitable. However, if your store is not too complex, then you can manage the migration process by yourself without any technical or programming skills needed. So start by studying the features Magento offers and write down the list of all the features you want to integrate into your new store. As Magento is a resource consuming platform, we advise you to find the suitable hosting solution for your new web store so that your new website can safely run in a stable environment and at a higher performance, avoiding any downtime and traffic loss. If the traffic of your website is high, after migration you should consider implementing an advanced caching solution, such as Varnish Cache, to efficiently improve your store’s performance. Next, analyze your sales performance to find out what is the ideal period and schedule the migration accordingly. The perfect timing will undoubtedly be the lowest traffic period. Although some migration solutions guarantee no downtime for your website, this is possible only if you choose to migrate your data using an automated tool. Even so, it is advisable to announce your customers that you are migrating. No matter what method you choose to copy all your data to the new platform, before proceeding to do so, it is necessary to make a data backup just to be sure that you can restore it in case you migration process fails. If you are not ready for the migration yet, or you just do not have the know-how on the subject or the proper tools to help you with the process, in this guide you will find out about all the steps that you need to make to successfully transfer your website to Magento. Alternatively, you can hire a Magento developer to assist you at every stage of the migration process and to ensure you that re-platforming to Magento is done quickly and efficiently. Are your ready to migrate your eCommerce store to Magento? If your goal is to take your business to the next level and increase your revenue, you have to provide a better user experience to your customers, then choosing to migrate your store to Magento is exactly what you are looking for. Unsurprisingly, more and more merchants migrate their store to the most popular and versatile eCommerce platform, to benefit from superior functionality, advanced customizability for their web store, and higher data security for their customers. Today, Magento platform occupies a leading position in online marketing solutions with a market share of 14%, and with the release of Magento 2 experts predict that the number of Magento 2 stores will rapidly increase in the years to come. Even though WooCommerce is a good CMS plugin for WordPress-based small-sized enterprises and it may have served your purposes from the beginning until now, as your business plans are expanding WooCommerce is not flexible enough to handle a big number of orders or products. In this case, switching to a shopping cart as Magento can significantly make things easier for you and your customers, and help you be ahead of your competitors. This solution is recommended particularly if you are running a multi-vendor web store and you wish to grow your business, as Magento does not set limits to products or stores you can make available to your customers. Migrating to Magento will make your store more appealing to your customers and increase your revenue by using the available extensions, themes, and tools that can help you improve your website’s usability and functionality. Magento is the most flexible, powerful and secured open source eCommerce platforms on the market, which serves to the end user a safe and pleasant customer experience, thus increasing the customer level of satisfaction – a crucial aspect of your business, if you want to enhance your company’s growth. Although both WooCommerce and Magento are both open-source and free – with the exception of the additional features – Magento is a more suitable platform, as it is specially designed for eCommerce stores and it has specific features, such as multilingual storefront, which makes it suitable for any type of business. Plus, with its multi-store functionalities, Magento lets you operate multiple web shops from one backend, make advanced customization and development to personalize your site. Are your ready to migrate from WooCommerce to Magento? The complexity of the migration process directly depends on the complexity of your store and quantity of the data you need to migrate, so it is advisable to choose the perfect timing and plan ahead your transition, to minimize as much as possible the downtime of your store. Even though transferring your website is not as challenging as developing a brand new one, you have to know that migration is not going to happen overnight, so we advise you to plan ahead the transition to be sure that it will not have a negative impact on your site optimization, which can further decline your traffic and sales performance. Analyze your sales performance data and choose the perfect timing for migration when the number of visitors on your website is the lowest. Avoid making the transition in special days such as “The Black Friday” or in the high-traffic period to prevent traffic and sales loss. Making a data backup of your web store is essential, as a lot of users’ private data is stored on your server, so the migration process should start with making a copy of all your data, such as product details, product categories, customers, their passwords, orders, reviews, their associated images and much more. The second stage of the migration consists in reproducing the store environment on the new platform, so customizing the design and appearance elements of your Magento store is a must, as these cannot automatically be transferred to the new platform. 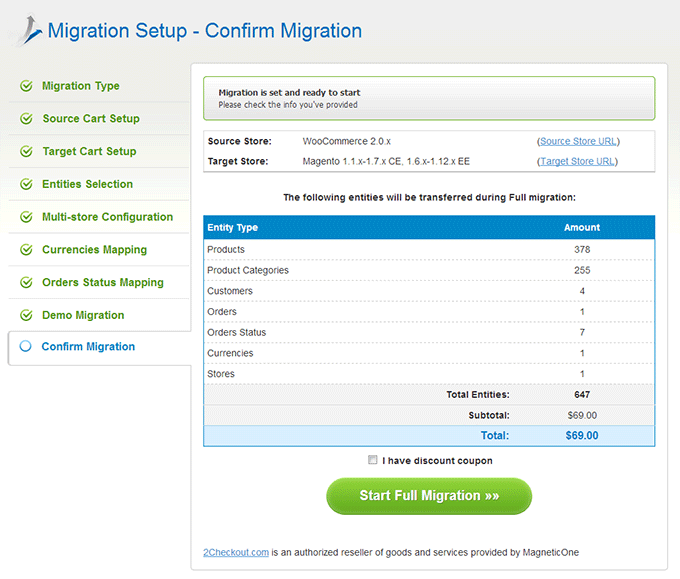 The next step of your Magento migration is transferring the products to the new platform. The duration of this process will depend on the number of your products. Copying the products data to the new web store involves the products specifications – name and details of every product you sell – attributes, and all the elements of a product page, such as buttons and checkboxes, and the products categories structure together with their corresponding attributes and images. This phase is very important as during this process all the customer’s information details – name, passwords, contact number and shipping address, their history data on your website – will be transferred to the new platform. At this point, the products and customers data that concern the orders will be moved to the new platform, together with order statuses and details. Migrating the products and categories URLs will save the old URLs in your new Magento store, thus maintaining the PageRank you have been growing for your web store from the beginning of your online business. The last step covers the configuration details of payment gateways migration. The API keys, secret key, and API signature are all getting copied on the new platform to authorize direct payments or credit card payments for all your customers. WooCommerce to Magento Migration Tool by LitExtension is an automated shopping cart migration solution that can help you move your data from WooCommerce and import it in Magento. Using this tool does not require any training or programming skills to make the platform switch. The software provides migration of all your product data and product categories data, customers and orders data, custom fields, URLs migration, product reviews, taxes and other types of customized data, depending on your web store configuration. It comes with safety measures in case the migration stops due to server or networking problems, and it transfers data from WooCommerce to Magento directly, without any third party involvement. Cart2Cart is another automated shopping cart migration tool that rapidly can make your data transition, in a matter of a few hours. It is a simple procedure that does not require any technical or programming skills. It can help you migrate to the new platform all products, categories, orders, customers, coupons, and reviews data, and their related entities without affecting your store’s performance. Additionally, if you need assistance in transferring your store from WooCommerce to Magento, you can call the experts to help you with the migration setup and transfer your web store data on the new platform. Although BigCommerce offers a wide range of features and an easy-to-control interface, the advantages of migrating from BigCommerce to Magento outnumber the benefits of sticking to your first chosen platform. By comparing the two, Magento offers superior functionality and a user-friendly platform for you and your customers, and it comes with an expansive list of extensions and tools you can use to increase your conversion rates and become more visible in the search engines. More than this, Magento Community Edition is open source and you have various themes to choose from. One of the reasons entrepreneurs choose to migrate to Magento from BigCommerce is the front-end development, which although it may require some technical skills, it offers lots of features such as responsive designs, product reviews, related products sections, newsletters, coupons, and much more. In Magento, you have plenty of tools you can choose from to make your store more appealing to your customers, improve their experience on your website and boost conversions. Are your ready to migrate from BigCommerce to Magento? The migration process will depend on the number of products you have available on your web store and the solution you will choose to switch from one platform to the other. While you can manually transfer your store to Magento, you need to know that this option will need more time and programming skills, compared with using a specialized tool, that can save your resources. Plus, some tools estimate that for a medium-sized store the migration will take only 20 minutes. Before starting the migration process, it is essential that you make a copy of all your stored data to be sure that nothing gets lost in case the transfer is interrupted. Orders information: data transfer process will also migrate all the info associated with each order together with orders statuses and details. 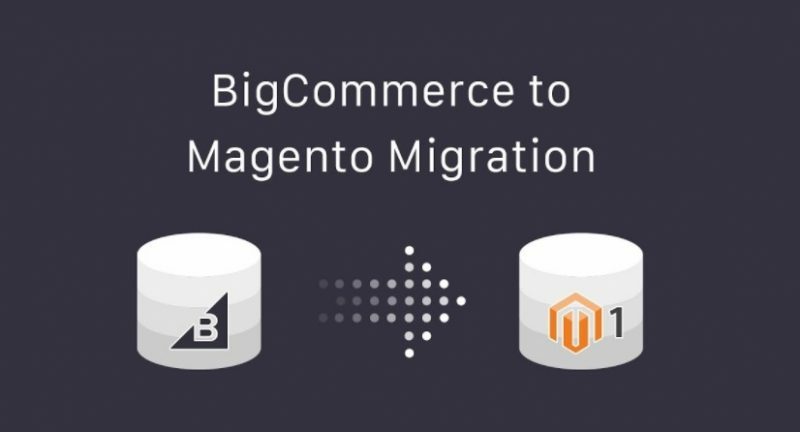 BigCommerce to Magento Migration Tool by LitExtension will help you migrate your store’s data to the new platform automatically, following four simple steps. This tool copies all your product and categories data, customers info and private data, orders details and custom fields, product reviews, tax rules, manufacturer descriptions, and all their associated images. You can also perform an automated migration using Cart2Cart migration tool, which does not require any programming skills to transfer all your web store’s data to the new Magento platform. 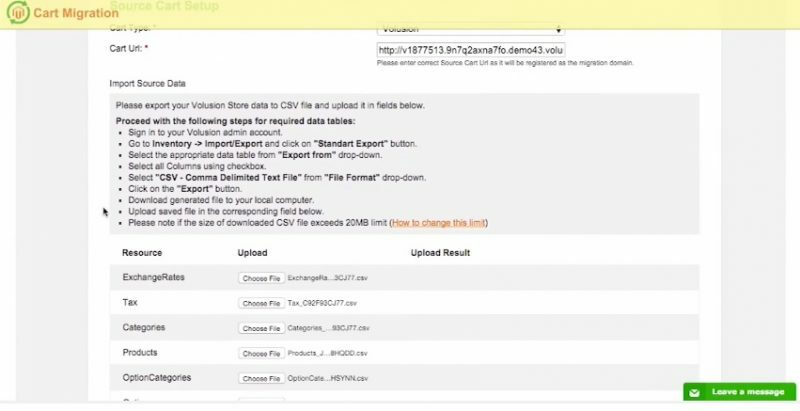 You will only need to follow the migration wizard to setup the data transfer to select the source cart of all your data and the target cart, which in this case will be Magento. Using Cart2cart Bigcommerce to Magento migration tool, all your products, categories, customers and orders data, together with the corresponding information and images, will be transferred from your BigCommerce platform to Magento in approximately 20 minutes. If you need assistance in migrating from BigCommerce to Magento, you can call the experts to help you launch your web store on the new platform fast and without errors. 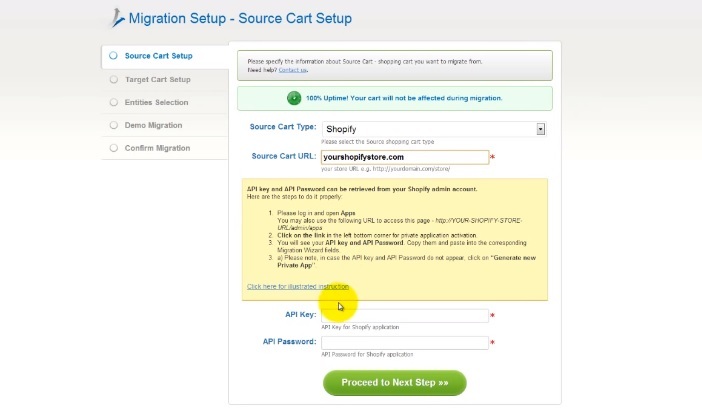 Volusion to Magento Web Store Migration – Image Source: slideshare.net. Volusion has been on the e-market for many years, but despite the fact that it is one of the oldest eCommerce solutions, one that provides the functionalities any small online store needs, it has its own downsides that you may experience at the point in which you decide to grow your business, add more products to your store and increase your sales performance. Some of its disadvantages are the lack of stability and connectivity with a multilingual support, an increased difficulty of creating new content pages, decreased usability and a fee-based limited number of products you can add to your store. Plus, Volution does not provide an application store with tools that you may use to expand your website’s capabilities, and all these aspects have a negative impact on your marketing plan and make your business expansion harder to attain. If you are thinking to convert your Volusion store to Magento, then you already know that Magento is the leading eCommerce solutions and that it has gained its reputation by providing, among other features, a solid platform with large scalability and SEO features, various payment and shipping options and additional tools that can help your business thrive. Plus, Magento regularly launches new platform versions, updates, and tools that improve the usability of your web store, for both for the user and the admin. So, in the end, Magento is a more affordable and customizable platform to use if you want to run multiple stores or just add numerous products to your website. Are your ready to migrate from Volusion to Magento? The duration and complexity of the migration process will depend on how big product catalog is and the solution you use to transfer your website’s data to the new platform. As it is expected, choosing a manual transfer will necessitate more time and resources, and it will require having some technical knowledge or hiring a web developer to do the transition. Opting for an automated migration tool will eliminate the downtime of your web store and significantly lower the migration time to a couple of minutes or hours, depending on how much data you need to migrate. In addition, automated migration does not require programming skills or technical proficiency to transfer all your site’s data from the old platform to the new one. Migrating your Volusion store to Magento platform should start with a data backup beforehand, a necessary action that is highly advisable to do if you want to do make sure that nothing is lost and all your customer’s private information is safe and can be recovered if something goes wrong during the migration process. At this stage, all the product, categories, customers, orders, custom fields, taxes, reviews and manufacturers data and associated images are being copied to the new platform. This includes private data such as passwords, delivery address and other details necessary to make a purchase. The SEO URLs migration stage is one of the most important steps in transferring your store on Magento platform, as at this stage the old products and categories URLs are saved in Target Store on Magento and maintained to keep their associated SEO ranking your website build since the beginning of your online business. During the last stage, it is important that the API keys and API signatures be transferred to Magento, to authorize direct or credit card payments for all your customers. 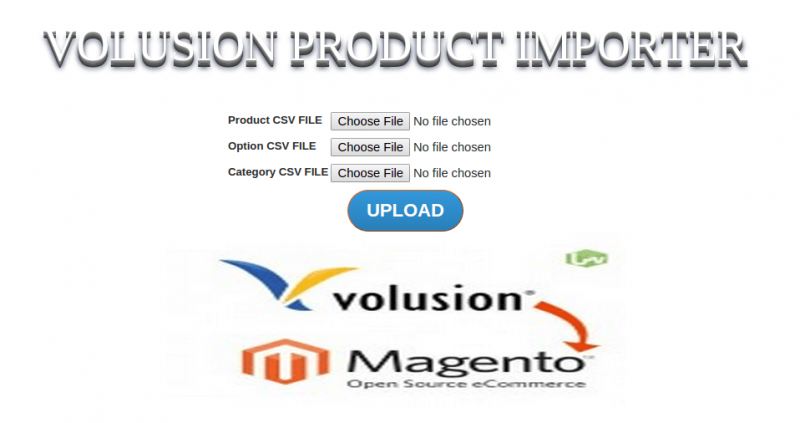 To migrate all your data from Volusion to Magento, one of the options you have available is installing the Volusion to Magento Product Importer. This is an extension which helps you transfer massive amounts of product data and info to Magento via CSV files, and dynamically assign all the product associated options and images. Next, you need to export the product details, categories details and all the data you need from Volusion in the form of CSV files, and then upload them in Magento. This extension will help you dynamically assign the options and images of every product you have on your web store. Cart2Cart is a tool that you use to automatically migrate all the info you now have in your store to the new platform. That means that all product data, images, extra-fields, attributes, categories data and images, customer’s private information and orders data, plus additional info such as currencies, coupon codes and so on will be moved to your new Magento website. 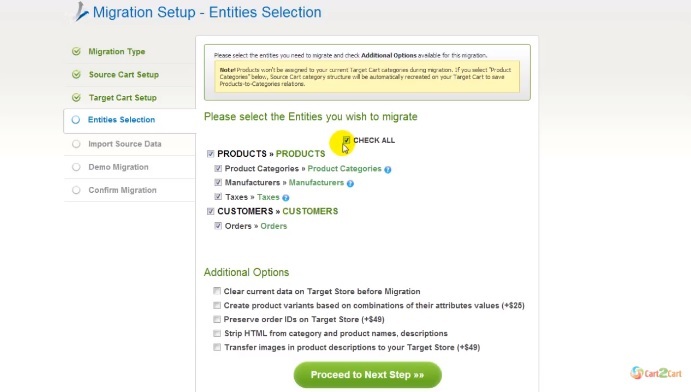 Volusion to Magento Migration Tool by LitExtension is a tool you can use to automatically migrate all your data to your new store. Download the API from litextension.com. You have two options available, to migrate from Volusion to Magento 1x, or to Magento 2x. Do you need the expert’s advice? Call us to assist you in migrating your website from Volusion to Magento. Squarespace is a good platform to choose if you want to build a new eCommerce website, as it has the basic features you need to launch your business online, but when it comes to large enterprise businesses moving your website to Magento might be exactly what you need to do to make your business grow and attain higher marketing results. Magento offers powerful marketing and advanced search engine optimizations, stability and a variety of extensions and tools you can use to build your website, attract new customers and improve your sales performance. Don’t forget that Squarespace was initially created as a blogging platform for content-based websites, while Magento is an eCommerce platform which offers merchants all the support they need, from the flexibility of the shopping cart system, control over the appearance of their store, catalog-management tools, and many other benefits. Are your ready to migrate from Squarespace to Magento? To migrate your store from Squarespace to Magento you have two options. The first one is manually exporting some of your store’s data to an XML file by using the Import/Export Settings from the advanced settings section of your Squarespace website. However, migrating your website manually will take more time and can expose your migration plan to errors. A safer option is, then, an automated shopping cart migration tool that can significantly reduce the time and resources necessary to make the transition to your new Magento website. Keep in mind that even if you choose the automated migration option, the design elements of your website will need to be reproduced on the new platform, as they cannot be exported from your old website. First, you need to make a backup of all your data, as a safety measure in case something goes wrong. If you have trouble importing the content of your website to Magento, you can download a copy of your website’s content directly from Squarespace. At this phase, you should set up the appearance and look of your new store by optimizing it with the themes available in Magento. Here, you can extend and transform the appearance of your storefront as you wish, by using specialized solutions such as Magento Blank Theme, Magento UI Library Components, Magento Admin Pattern Library. To make this process easier for you, Magento has published a Frontend Developer’s Guide where you can find all the info you need to know to create your own theme. Next, you can choose the option you prefer for migrating your data. During the data transfer process, all your product, categories, customers, orders data, info, and their related content and images are going to be copied on the new platform. At this stage, you should also set up the URL redirects from your old site to the new one and transfer the API keys and signature to make available to your customers the direct payment or credit card payments. 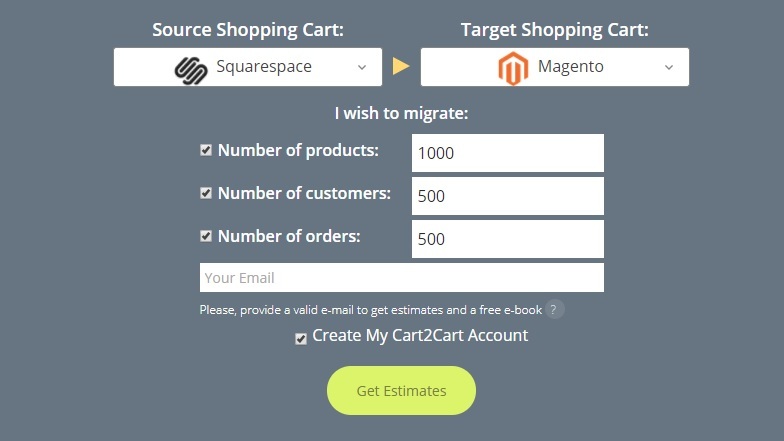 Cart2Cart is an automated migration tool that can easily copy all your data from Squarespace to your new Magento website. What you need to do is register Cart2Cart account and then choose Squarespace as your source cart and input your store’s URL and credentials. Next, download the Connection Bridge, open the archive and copy its content to the Magento root folder. Choose the data entities that you want to migrate from Squarespace into the new platform and perform the migration. 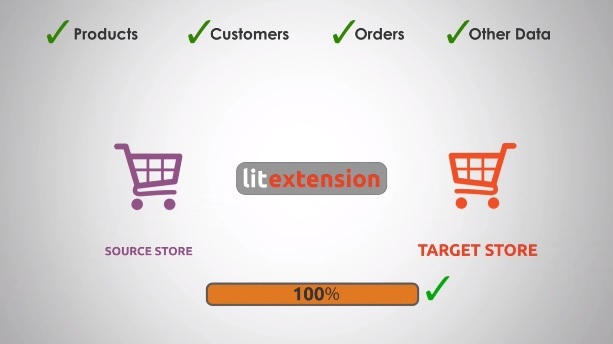 You can choose to migrate all your web store data to Magento automatically with the help of LitExtension tool, which allows you to copy products, categories, orders, customers data and all their associated images to your new website, all at once. Automated migration will cause no downtime for your current store and can run either online or offline in the development environment. All your order IDs will be kept during migration and, in case the process stops due to networking problems, you can resume it and continue the migration from the point where it was interrupted. Do you need an expert to assist you during your migration project? Call our experts now to benefit from a successful website transition to Magento. 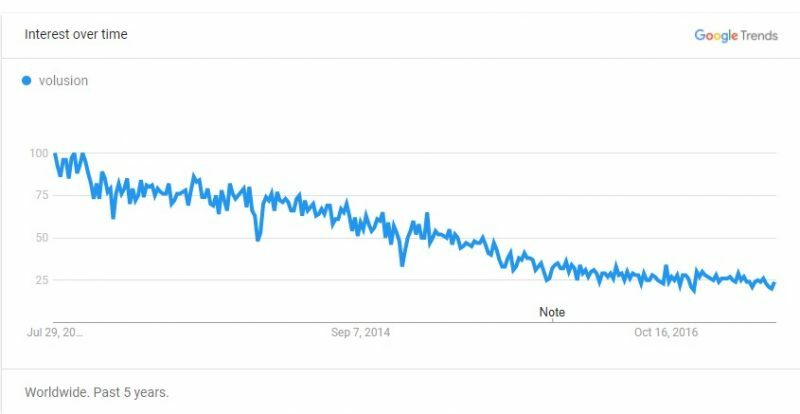 Shopify is a great eCommerce platform for mid-sized businesses, but not so great for big merchants who want to expand their product catalog and sell more. 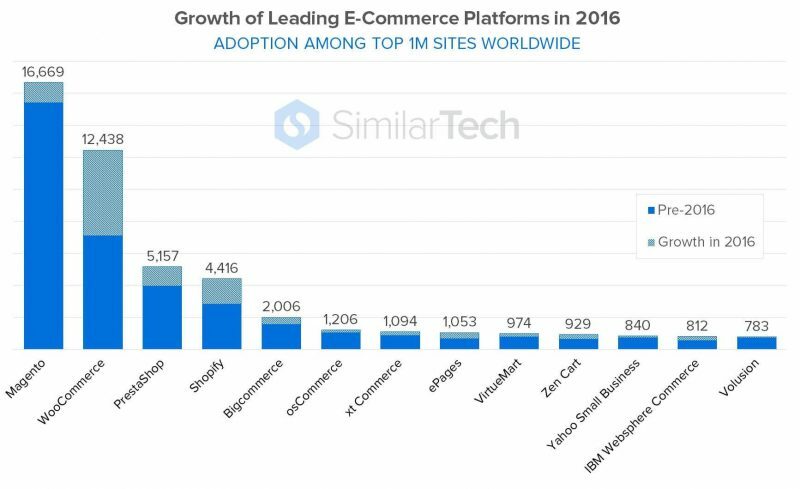 One of Shopify’s biggest competitors is Magento, which gained a lot of attention among entrepreneurs these days, holding now 14% of the market, while Shopify currently holds only 6% of the market share. When it comes to capabilities and features, Magento offers over 5 thousand tools and extension that developers can use to increase the performance of their stores, while Shopify has available only 100 apps and add-ons. Another positive aspect of switching to Magento is that it is open source and thus it offers more stability, security, flexibility, and accessibility in developing an online store for any type of business. Compared with Shopify, Magento is more scalable and thus more fitted for large-sized stores. To a greater extent, Magento 2 can handle up to almost 40% more orders per hour than Magento 1 or any other platform, for that matter. Magento has a user-friendly interface that admins easily use to set up their store and an even more friendly storefront which offers a pleasant shopping experience for your customers. All the above and many other aspects make Shopify a well-suited solution for small and simple stores, but certainly not the ideal choice for more complex web stores or large catalog businesses. So if you want to grow your business, reach out to a bigger market and offer a better shopping experience to your customers, then switching to Magento might be exactly what you need to do to succeed. Although Magento requires some basic technical or programming skills, using some of its extension will make things easier for you, and you will have all the other benefits, too. Are your ready to migrate from Shopify to Magento? The migration process duration will directly depend on how large and complex your Shopify store is, and the method you choose for switching from Shopify to Magento. As it is expected, a manual migration will take more time and require some basic programming skills. Also, and this option can cause downtime to your old store and expose your new one to data migration errors. To avoid all the trouble, it is best to use an automated migration tool, which can save you time, money and the effort. An automated migration process can last from minutes to hours, depending on the size of your catalog and the data you want to migrate to your new website. First, you should make a copy of your website data, to be sure that the migration’s success will not be compromised. If during the transfer something goes wrong, then you will have a backup of all your data to restore it, in case something gets lost. Because Magento was specially designed for eCommerce, all themes are user-friendly and have a responsive design, which gives you the opportunity to integrate modern personalizations to your new store to offer your customers an appealing environment. The migration process consists of copying all your catalog data, customers account data, URLs, merchandising information, orders history, blog posts, newsletters subscribers, pages and their associated details and images from your Shopify store to Magento. Data migration is the most important stage of your migration process, as it contains your customer’s private data, shipping address, passwords and other personal info, so it is advisable to be carried out safely and efficiently to benefit from the best results after transferring your website to Magento. 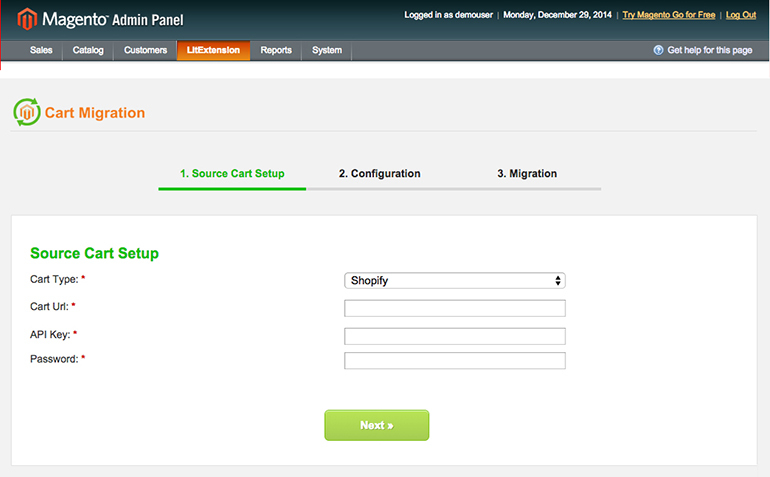 Cart2Cart is one of the tools that can help you safely and rapidly migrate all your data from Shopify to Magento. Once installed, the software will automatically move all your data and associated images, from products data, customers information, order data to a variety of entities, such as manufacturers details, taxes, product reviews. If you need assistance in migrating your store from Shopify to Magento, you can call the experts to help you launch your website on the new platform, fast and without any errors. After you have finished the migration process from your old web store to Magento you have some adjustments that you need to make, just to be sure that your new website is operative and your SEO performance is on the rise. If you want to make your eCommerce website perform even better, check out the advanced technical documentation we have prepared on improving the performance of your Magento store. Are your ready to migrate your store to Magento? When you choose to re-platform your web store, you must be certain that the solution you opt for does not bring about any downtime to your store, or at least it minimizes it as much as possible. At times, transferring your online business to Magento can be a lengthy and complex process, but its difficulty depends on your current platform export options, the size of your catalog and the quantity of the data you want to migrate, so carefully choosing the services to use for this process is mandatory to successfully clone your old website on Magento. Although moving your website to another platform does not always require programming skills, you can ask for assistance from Magento developers to set up the data transfer at a high level of security and customize your website fast to increase its performance. This is the perfect option for you especially if you have a big database and you do not want to deal with any data migration errors, but also if you want to adapt your shopping cart migration strategy to your new business goals and migrate your store fast to benefit from the opportunities Magento offers to all merchants. So if you desire to meet your ambitious set of marketing goals, then choose a certified Magento developer that can help you with the transition process from A to Z. Are your ready to migrate your store to Magento? Don’t wait – let’s talk today!